No doubt by now you’ve heard of the ice epidemic gripping most major Australian cities. ‘Ice’, the popular name for crystal methamphetamine, is such a cause for concern that the Federal Government has formed a specialist Taskforce to address the problem. It’s cheap and relatively easy to manufacture in backyard labs and bypasses the rigorous Customs checkpoints in our airports and ports. The trickle-down effect is deeply troubling. Drug addiction, and the spate of crime that accompanies it, is gaining an unprecedented foothold in suburban Brisbane. It’s evidenced by break and enters, thefts, robberies and credit card frauds. It’s not just in the city, but also in ordinary suburbs such as Mt Gravatt, Morningside and Sunnybank. So, are you overreacting by double-checking your doors and windows at night? Or are the crime rates in Brisbane an ominous sign we’re on the verge of our very own Brisbane Breaking Bad? Brisbane’s crime rate can be tracked and trends pinpointed by looking at the comprehensive Brisbane crime rate statistics. You’ll find them available to the public to download free of charge at www.mypolice.qld.gov.au/southbrisbane/queensland-crime-statistics/ and https://data.qld.gov.au. To find the crime rates for your local area, you need to identify which police division you’re in. Queensland is divided up into 5 separate police regions. Heavily populated Brisbane forms one of these regions. Brisbane is then further dissected into two districts: North Brisbane and South Brisbane. The South Brisbane district is broken up into 21 police divisions. Upper Mt Gravatt and Morningside are two of the 21 police divisions that make up the South Brisbane police region. The Upper Mt Gravatt district also incorporates Sunnybank. If you look at the bigger picture, overall crime rates remained relatively stable in the South Brisbane area. In fact, some might say that there was a small downward trend overall. However, that’s attributable to the overall crime rate figures incorporating traffic and driving offences. You have to look at the statistics more closely than that. Of greatest concern was the massive spike in sexual offences (the highest in 5 years) towards the end of 2014 for the South Brisbane district and a rise in break-and-enters (burglaries) and thefts. If you live within the boundaries of the Mt Gravatt or Morningside police divisions, your crime rate statistics show some worrying trends. Of most concern is the fact that drug-related offences have been steadily climbing over past 5 years in the South Brisbane district. Overall, there’s been a 3.8% increase in drug-related offending in Brisbane over the last 12 months. Drug offences accounted for 847 of the recorded crimes in the Upper Mt Gravatt police division and 497 in the Morningside division. Some of the drug-related offending has been at the very highest level. It was widely reported in the mainstream media on 11 August 2015 that Operation North Invoice had come to a successful conclusion, netting a massive 4 kg of the drug ice in a Mt Gravatt unit. Police also reported that a related search of a property in Sunnybank Hills resulted in the confiscation of approximately $17,000. That’s believed to be money obtained as the proceeds of drug trafficking. And that’s just the tip of the iceberg. Unfortunately, drug trafficking is a lucrative trade, and it’s here to stay in your suburb. You might not realise what this means for your safety and the security of your home or business. There’s a strong connection between drug-related offending and other crimes. That’s because drug addicts often turn to crime to support their habit. Breaking and entering, theft and credit card fraud is often the fastest way an addict can get their hands on the money they need to score. Break–and-enters (burglaries), and trespassing fall under the category of crimes labelled ‘unlawful entry’ for the purpose of crime rate recording. These offences peaked in early 2013 and enjoyed a temporary downward trend for a short period until mid-2014. However, if the current crime statistics are anything to go on, you’ll notice they’re on the rise again. If you’re in the Morningside police district, which incorporates Sunnybank, there were 295 unlawful entry crimes in the July 2014 to June 2015 financial year. The Upper Mt Gravatt district recorded an alarming 706 for the same period. Thefts were even more prevalent, with 518 recorded in the Morningside district and a staggering 1226 in the Upper Mt Gravatt district. In the June 2015 Crime Report for the Upper Mt Gravatt Division, Sergeant Michelle Mullen highlighted the fact that ‘the majority of offenders are gaining entry to homes through the use of force. This could include implements used to lever or smash doors and windows’. She also added that there were instances where offenders actually cut holes through standard security screens and doors. It seems that your run-of-the-mill security measures might not be up to scratch when it comes to a determined criminal with a bit of time and some access to tools. Around the same time, Senior Constable Ricki Brundell of the Upper Mt Gravatt crime prevention unit (CPU) released an urgent bulletin via Neighbourhood Watch Queensland. It warned residents of the suburb of Robertson and surrounding suburbs of Macgregor and Sunnybank that there’d been a recent spate of break-and-enters. Terrifyingly, some had even occurred whilst the residents were at home. That’s sure to send a shiver down your spine if you live in any of those suburbs. It signals that offenders are becoming even more desperate and more brazen. The potential for a violent confrontation between you and a drug-affected criminal can’t be underestimated. In August 2015, police also warned of a spate of ‘spiderman’ style high-rise break ins where burglars gained entry to hi-rise units and flats via the balcony. 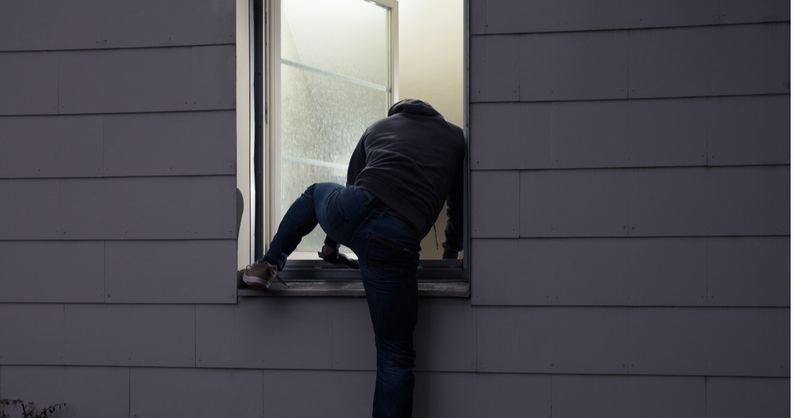 These break-and-enters occurred in Upper Mt Gravatt, Macgregor and Sunnybank. The standard-issue balcony doors were no match for the offenders, even when locked. They were able to be easily kicked through. It’s not uncommon for car-related offending to accompany a break and enter. This is because car keys are often stolen during a burglary. Car theft, joyriding and theft from motor vehicles has continued to be well-represented in crime rate statistics if you live in the Mt Gravatt and Morningside police divisions. Over the last financial year, there were 43 vehicle thefts in the Morningside police district and 100 in the Upper Mt Gravatt police district. Thefts from motor vehicles also featured prominently over the same period, with 436 in Upper Mt Gravatt district and 225 in the Morningside district. Many of the vehicles targeted were parked in their owner’s driveways and weren’t protected by immobilisers or alarm systems. If you have car you need to take additional measures to protect it. A locked car can still be broken into by smashing a window and using the door handle, and an ignition can be manipulated with a dipstick or screwdriver. Brisbane crime rate statistics demonstrate that thefts from houses and yards is on the rise. Over the year ending June 2015 there were 60 reported thefts from dwellings in the Morningside district and 65 in the Upper Mt Gravatt district. Again, this just goes to show that you need to be mindful of all aspects of security around your home including locking gates and preventing unauthorised access to your yard. It’s not surprising that Brisbane crime rate statistics show a dramatic surge in fraud, in particular, credit card fraud. Credit card fraud often goes hand-in-hand-with break-and-enters, thefts of purses, wallets and handbags from vehicles and shopping centres. For the 2014-2015 financial year there were 137 in Morningside and 497 in the Upper Mt Gravatt police district. So, how do you reduce the likelihood that you’ll become another crime statistic? The answer is surprisingly simple. Taking sensible security measures is the key. In February 2015, the Australian Institute of Criminology (AIC) released the results of a survey of 994 police detainees. They asked them what they thought were the reasons for an overall decline in property-related crime. Overwhelmingly, the detainees interviewed pointed to increased security as the single biggest disincentive to criminal behaviour. You can read the AIC’s Trends & Issues in Crime and Criminal Justice report here . Lock your vehicles and consider having an engine immobiliser and an alarm system installed. Unfortunately, there’s no end in sight to this kind of offending. Prevention is your biggest protection against it. You might not be aware of the areas of weakness in your existing security systems. A thorough audit by a trained and reputable security professional is the key to identifying these areas of vulnerability and reducing your risk level. You’ll find we stock and install only the highest quality security locks, screens , alarms and systems. We’re proud stockists of the top-of-the-line Crimsafe security screens and doors and our own premium VS range of welded steel and aluminium security doors. In fact, we’re the one-stop shop for all your security needs. Do crime rates in Brisbane worry you? Contact us at Vincent Security today on (07) 3849 4555 for a friendly obligation-free security audit, measure and quote.